Follow Thomas through Instagram to see what is happening in the studio. I recently did an interview for my solo show Memory Drum that is up at James Oliver Gallery until October 27. Memory Drum, is opening September 15th from 6-10pm at James Oliver Gallery, Philadelphia. These works are part of a group show opening May 4 at the Curtis in Philadelphia. I'm excited to be part of this group show at The Curtis opening May 4, 5-8pm. 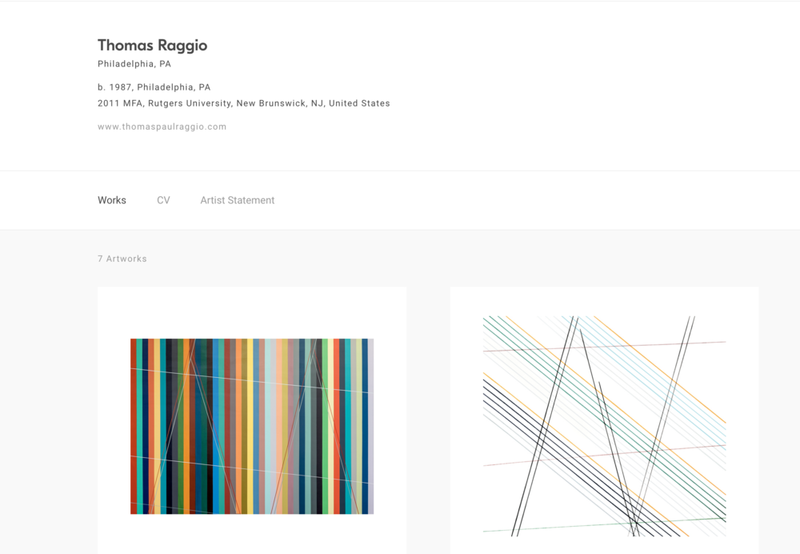 Thomas has an artist page on Foundwork for gallerists, curators, and collectors to connect. Of course, you can always use the contact section on the website as well. Concept Drawings is a new section on the site. These are ongoing studio ideas and compositional concepts. Thomas now has a professional Google+ page. This new page is another way to stay in touch throughout the social media eco system.